Legator's GT Series combines classic shred guitar looks with advanced ergonomics and modern technology. 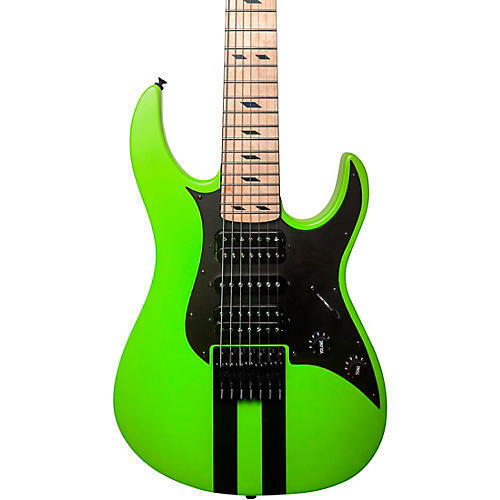 The Ninja GT 7 starts with a sleek, double=cutaway Ninja body style to craft a guitar that stands out in looks and sound, then adds a 27"-scale extended-range 7-string neck. As you might guess from the distinctive racing stripe finish, the GT series is all about speed and showmanship. From the ultra-thin Ninja neck profile and smooth maple fingerboard to the proprietary monorail bridge and HSH-configured pickups, it's always ready to rock.